Summary: The Peter-Observer storyline comes to a close, and while it doesn’t necessarily go out with a whimper, it’s not as satisfying as we’d like. Also, psychics and faith and magnets and “believing.” This one’s a little odd. Olivia meets with Anil and obtains an identical piece of Observer tech for Walter to inspect. Windmark discovers Peter’s set-up at Etta’s apartment, and deduces that Peter has gained their abilities and tracked their every move…including that they’d arrive at the apartment. 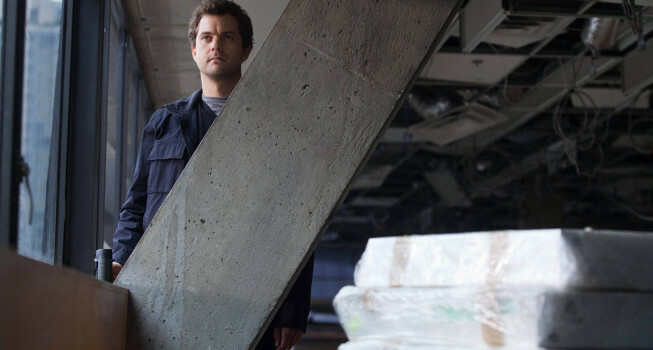 Astrid and Walter uncover a new tape, which directs them to an electromagnet in Massachusetts. Olivia brings the tech back to them and informs them about Peter. Meanwhile, Peter ventures to New York to follow Windmark. He calls Walter to warn them not to go to Etta’s apartment, but despite Walter’s pleas, he refuses to divulge any more information. Olivia heads to Massachusetts to find the magnet. She meets a woman, Simone, who has been protecting the magnet for 20 years after Walter came to her mother and asked them to protect it. Since then, Simone has developed psychic abilities to read people. Olivia grows suspicious of the people after hearing rumors that she’s on the “reward wire.” However, Simone proves to be trustworthy and gives her the magnet and truck. Olivia tells Simone that, after all she’s seen, she knows to much to have faith in anything, though Simone still believes. After Olivia leaves, she’s stopped by two raiders, who realize Olivia’s on the reward wire, and they kidnap her. Windmark confronts Peter, having been aware that he’s been following him the entire time, and they fight. Peter manages to fight him off to escape, though not without some injuries. He returns to the lab to get stitched up, where Walter has determined that the tech overrides parts of the brain that control emotions in order to improve the logical side. 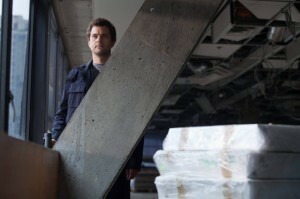 Walter pleads to him to remove it before it becomes permanent, but Peter is intent on avenging Etta’s death. Olivia manages to cleverly design a mechanism to shoot Etta’s slug to help her escape from the raiders. 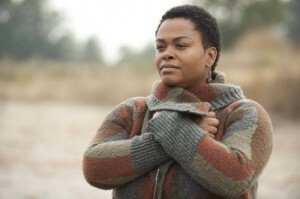 After hearing from Walter, she tracks down Peter and reminds him of how Etta is still with them (citing her slug) and they can’t lose memory of her. After having flashes of his family and reconnecting with his emotional side, Peter cuts into his head and pulls out of the tech. That’s what makes this conclusion so conflicting. It’s not that this exploration of Peter’s blind rage meant nothing; it’s a clever parallel to the same 2015 split-up between Peter and Olivia that has been referenced all season. More importantly, it’s prominently relaying the major message and theme the past couple of seasons have hammered in about the power of love and humanity. The problem is, it has been hammered in many times before, and it’s getting to a point of diminishing returns now that we’ve heard it so much. So when we see the familiar “love is important” conclusion yet again, we’re not blinded to the fact that this didn’t do very much to serve the plot. The character story is certainly important, and you can have them run separate from the main plot. But Fringe is very plot-heavy too, and for Peter’s extremely mythology-tangled story to be successful it needed to be both. Maybe this stuff will play out better in future episodes if they deal with the consequences of Peter’s actions, but if this is truly the end of that arc, it’s not entirely fulfilling. As much as I liked the emotional ending—Anna Torv was phenomenal and it was one of the most well-acted scenes this season—we’d already seen Olivia and Peter steadily restoring their relationship throughout the first four episodes. This was a big stroke on that, and it was emotional, but it didn’t feel like the culmination it should have been. But that may, in fact, have been more due to the fact that Peter could remove the tech so easily. We saw from the porcupine brain that the device goes into the brain, and when Peter removed it from the Observer originally, he died. Yet, Peter cut into his head and pulled it straight out of his own brain. It looked plenty painful, but it was still far too easy for something that’s been set-up as incredibly dangerous. Peter and Olivia’s scene might be less powerful if he simply agreed that he needed to take it out instead of pulling it out himself, but it would have showed a bit more consequence since there’d at least be a possibility that it couldn’t be removed. That balance between hard science fiction and abstract and poetic ideas is what this entire episode struggles with, actually. In the past, Fringe has managed to toy with references to non-sciency things like God and love with enough subtlety or pathos to keep it from detracting from the show’s semblance of scientific realism. “The Human Kind” has some trouble figuring out how it wants to play up those ideas without it coming off as heavy-handed or hammy. The Oracle-like Simone, for example, is played nicely by Jill Scott, who puts in a good effort to do something different from the very stereotypical “Strong, God-fearing African-American woman with intuition/psychic powers.” But despite adding some warmth and youthful naivete, she was still written as that basic (and at this point, uninteresting) character. Someone developing psychic powers fits into the Fringe universe just fine, and it’s certainly likely that the person would interpret that as part of their faith. But her conversations with Olivia don’t highlight the “faith or science” debate so much as they bludgeon us over the head with something the show has already addressed. What this episode does do very well is track Olivia’s development throughout those less successful elements. As borderline-obnoxious as Olivia’s interactions with Simone could be, Olivia’s rant about “seeing too much” and listing the cavalcade of superpowers she’s gone through was great. We got the old fashioned action hero Olivia back, too, especially with that pressure-shooting bullet nailing the guy straight in the head, which was awesome. And with that clever action sequence, we got a glimpse of the subtlety Fringe is usually capabale of; even before Olivia spelled it out to Peter at the end, it was clear just through Torv’s silent body language that Etta’s bullet that restored her faith and hope. Despite my misgivings about how Peter’s story concluded, Joshua Jackson in full Observer mode was very fun and creepy in an “uncanny valley” kind of way. And Peter’s seemingly mundane calculations and influences echoed the ripple effect idea present in episodes like “The Plateau” and “The Firefly.” Everything was plenty fun to watch, actually, keeping up the tension despite only a few blips of action really taking place (the Windmark/Peter fight in particular was very well-choreographed.) But it’s the heavy-handedness with the faith versus science stuff that holds it back, which I’m admittedly being a little hard on, but Fringe has handled it so well in the past that it’s hard to not grade it on that curve. This whole scenario reminded me of a certain other show I wrote about with magnets. So was Observer-Peter the origin story in “An Origin Story”? If so, that tease in the title was kind of disappointing, considering it’s the origin of something that didn’t quite go anywhere. If all the tech does is increase logical processes in the brain, why did that make Peter’s (and I guess everyone who became an Observer’s) hair fall out? In the last episode I just-so-happened to rewatch the first appearance of the beacon right before its reappearance in “Five-Twenty-Ten.” This week, I just-so-happened to get to season 3’s “Reciprocity” in my rewatch, which featured Peter on another anger-fueled-yet-calculated mission to kill otherworldly beings while being influenced by alien tech to the dismay of his peers. Weird, right? “And the invaders, as you call them, they’re just better at math than we are.” Ouch.